Considering only the lower level is not enough. 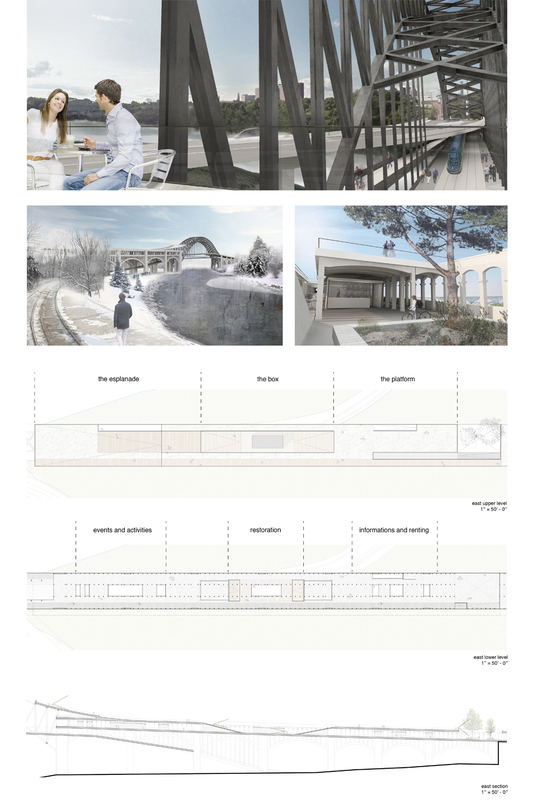 To offer a place where people and transports live together, the bridge had to be considered as a whole. The bridge does not need to stand only to cross the river. 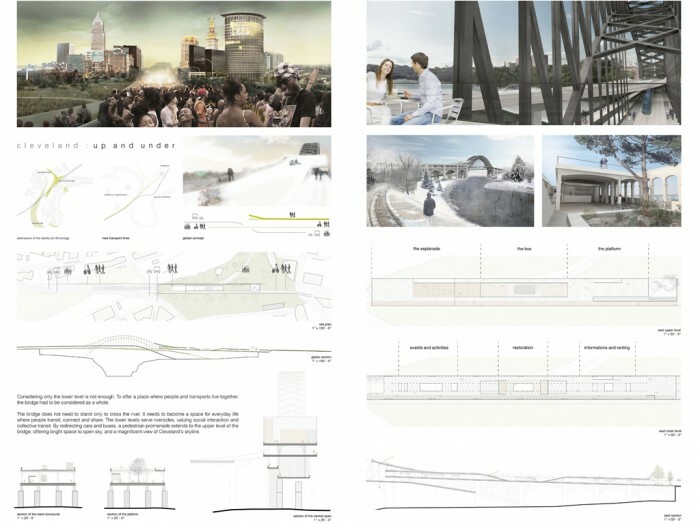 It needs to become a space for everyday life where people transit, connect and share. The lower levels serve riversides, valuing social interaction and collective transit. 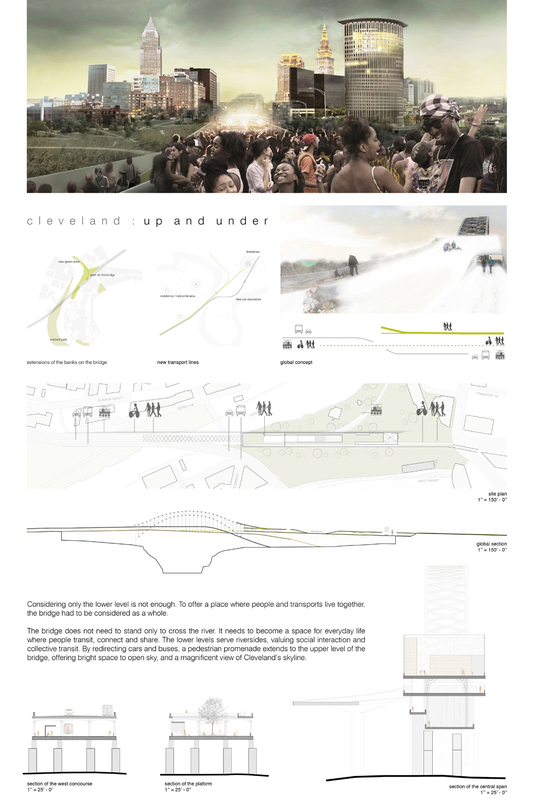 By redirecting cars and buses, a pedestrian promenade extends to the upper level of the bridge, offering bright space to open sky, and a magnificent view of Cleveland’s skyline.